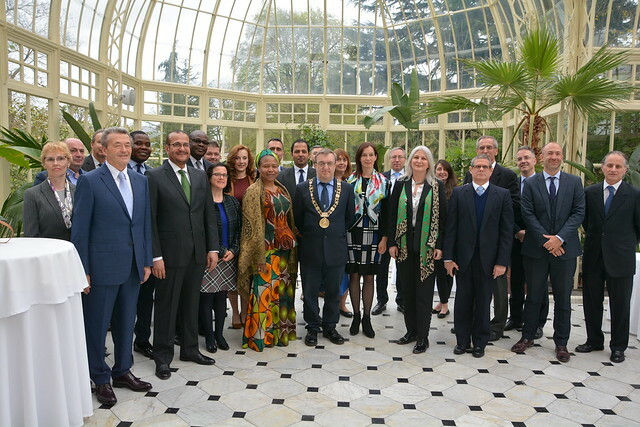 Ambassadors and representatives from the Diplomatic Community in Ireland attended the 4th tree planting ceremony within the confines of the Grove of Nations launched last year at Farmleigh Estate. The Park is an initiative of the Embassy of Hungary in Dublin to the Embassies of Ireland to come together and plant trees to promote peace, reconciliation and mutual understanding among all nations. The ambassadors and representatives of the Embassies of the United Arab Emirates, Brazil, Croatia, Cuba, the Czech Republic, Estonia, France, Georgia, Nigeria, Poland, Romania, and Turkey planted their trees, a symbolic hawthorn, forming a beautiful grove in the grounds of Farmleigh Estate. In addition the Lord Mayor of Dublin, Mícheál MacDonncha was at the ceremony. Photos courtesy of Dublin City Council and the Embassy of Hungary.